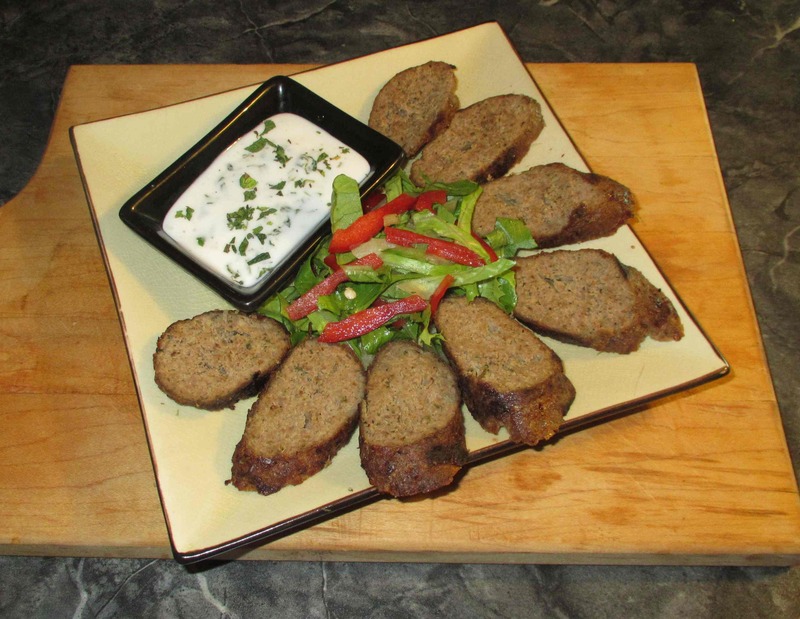 If you have a look at the Wikipedia definition of Kebab, you will find that it has a much wider range of culinary expressions than the skewered meat chunks most westerners expect. 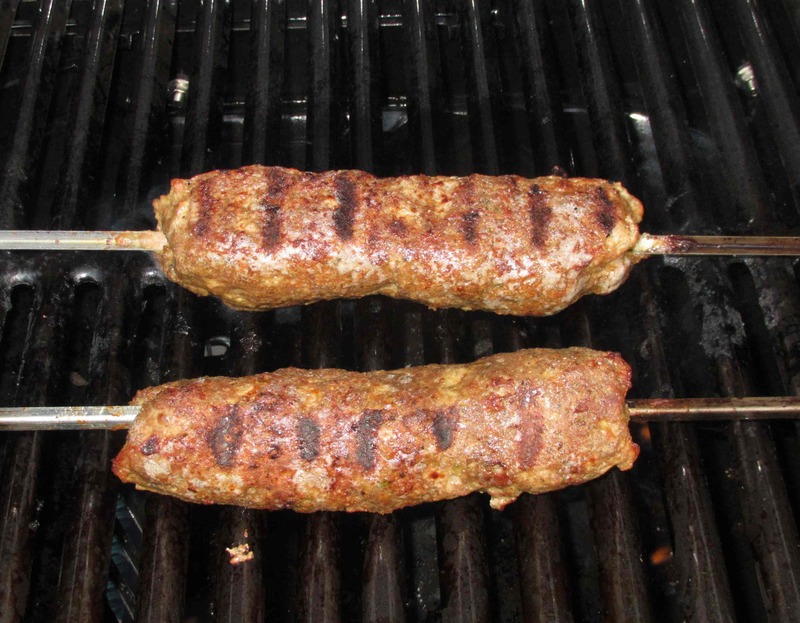 All across the ‘kebab’ world, from Turkey, through the Middle East, to India and Pakistan, lamb is the primary choice but beef and chicken are also used; sometimes in large pieces, other times smaller chunks, and, quite often minced, or ground. 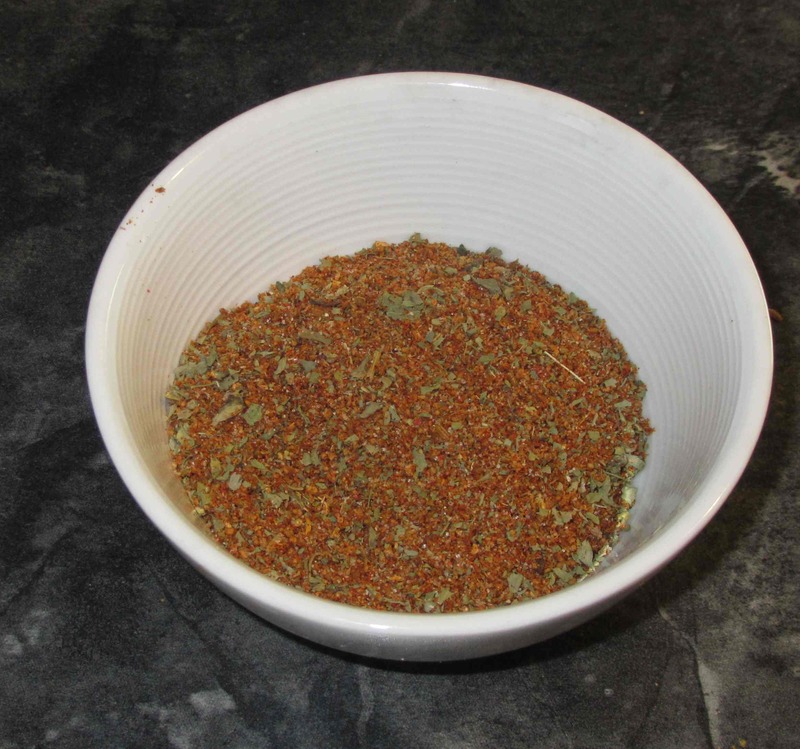 First, prepare the dry spice blend: Individually toast the coriander, cumin, poppy and fennel seeds in a dry pan and grind them with the cloves, the peppercorns, and the seeds from the black cardamom. Sift the result to remove any hard fragments and then mix in a small bowl along with the salt, sugar, red pepper powder, cardamom powder and fenugreek leaf. Set this aside for now. 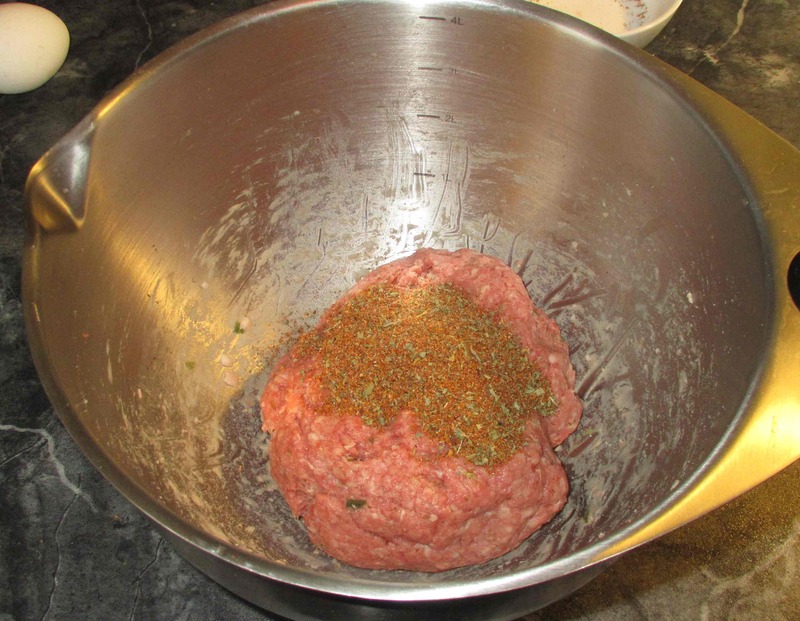 Put the meat and the Chili-Ginger-Garlic paste into a bowl and blend the two together well with your hands. Next, take a wooden spoon and begin stirring the mixture in one direction only until it all becomes sticky. Once this happens, take the mass from the bowl and throw it back in forcefully several times. Now, add the dry spice blend. 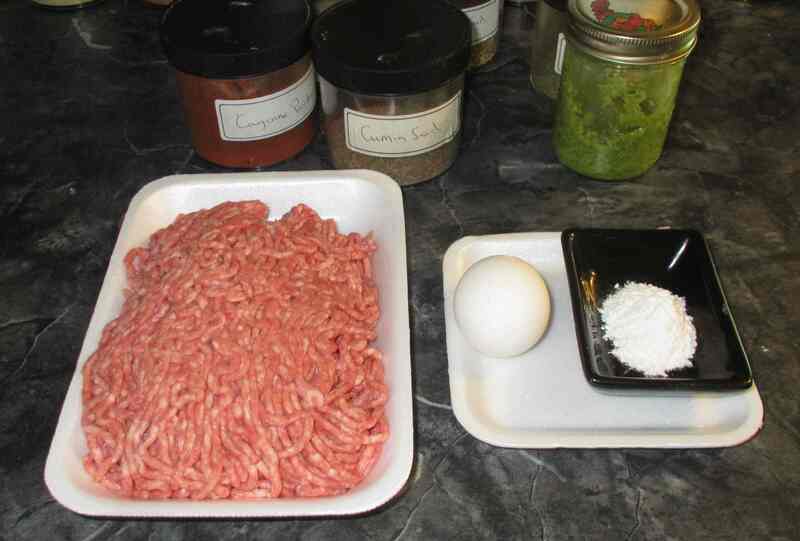 Beat the egg, and add it to the meat and spice mixture along with the flour. Begin stirring again (one direction only) until everything is nicely incorporated. Now, divide the mixture into two separate balls and put them on a platter. Pop this into the freezer and leave it there for about twenty minutes so that it firms up and is easier to handle. 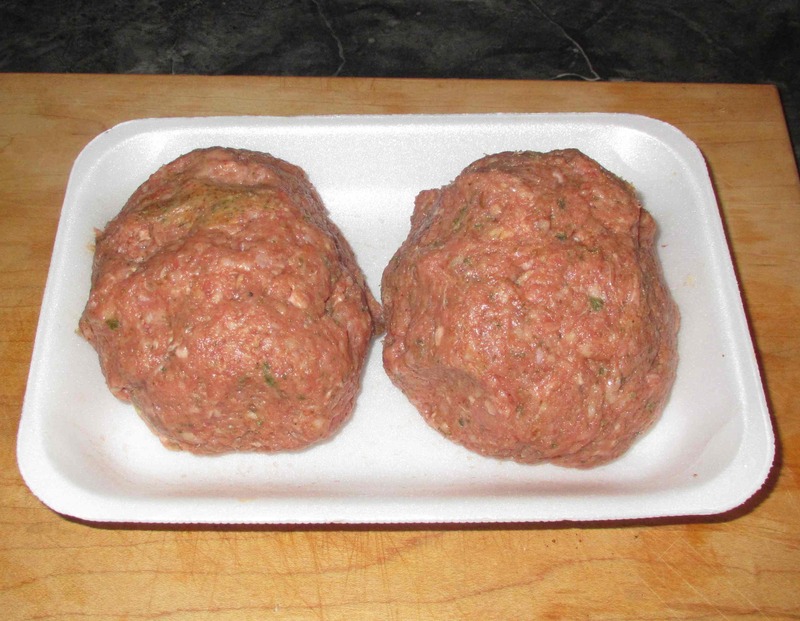 Once this is done, form the two balls of meat into long sausage shapes around two skewers and then pop them back into the freezer again until ready to cook. Pre-heat your oven to 400 degrees and lay the skewers on an oiled sheet. Bake them for about twenty minutes, turning a few times, until the meat is solidified and not likely to break up. While this is happening, fire up your grill to a good moderate heat. When the skewers are ready, oil your BBQ grill and set them on over a medium to high flame. Cook, turning as grill marks appear, until the meat is clearly firm all the way through when you press upon the surface. Remove from the heat and let rest for a few minutes. At this point, you can serve the skewers as is, perhaps over a bed of rice, or else slide the meat off and slice it. 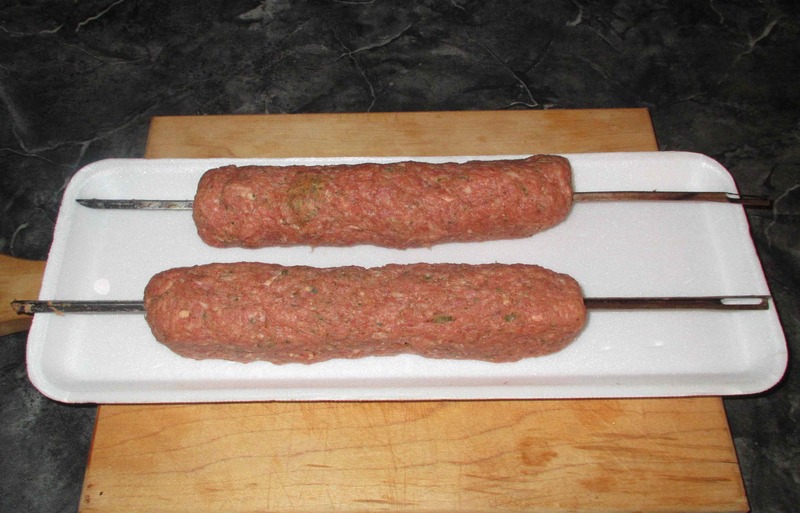 As I was trying to recreate the dish I had in Ottawa, I removed the meat from the skewers and sliced it obliquely into the half inch thick ovals you see in the first picture. I should begin by saying that I was really expecting this experiment to be a disaster almost from the beginning. After mixing the spice blend with the meat I became convinced that I had overdone it a bit and that the result would taste ghastly. Also, the consistency of the mixture seemed way too soft at first and I had visions of the skewers disintegrating to leave me with nothing but a mess. As it happened though, I was really pleased with result other than the fact that the texture was just a tad dry and granular, and I also wasn’t able to achieve a perfectly cylinder for the ‘sausage’ shape. Beyond that, though, the taste was really nice and complex and I thought that the spice mixture was just right. I would love to visit Ottawa. I’ve been to Toronto,which is lovely, but never Ottawa. It sounds great. What about Montreal? Is it worth the trip? Well *I* like Montreal very much… For food it is definitely worth the trip. Montreal has a very large Italian community (so lots of very good Italian restaurants), and also a Chinatown that is larger than Ottawa’s. They have strip clubs in Montreal????? No … the work was really just figuring it out as I did things. A scond time would be very much simpler. I always enjoy reading about your experiments. The seasonings really must have given the lamb so much added flavor. Keep experimenting! 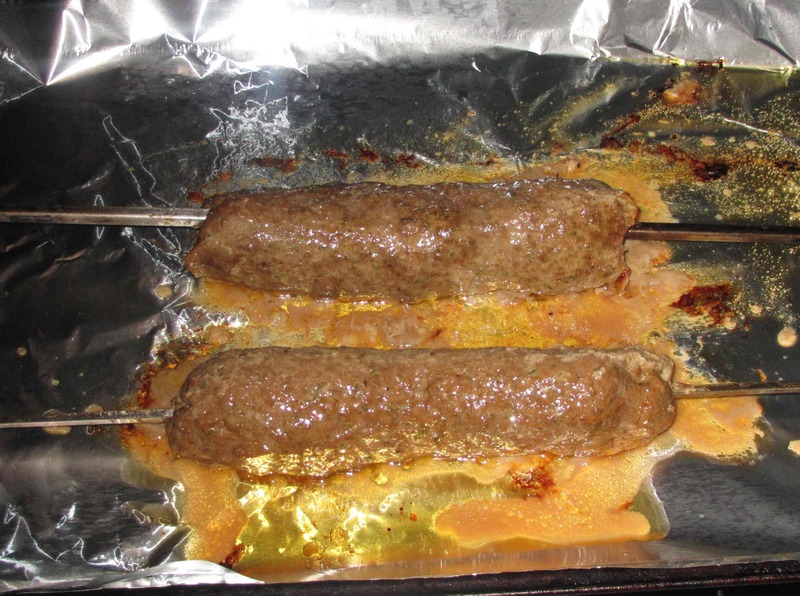 You are a brave person to put ground meat on a skewer. If I had done it, it would have been a mess! All those spices make this dish sound so good! I thought baking it was very wise! Looks great. I wonder if you need maybe a fattier grind to get it to the right texture? PS. There should be a package wending its way up to Nunavut now . . . I think a bit more fat is likely the answer now that I think about it.